Traveling abroad can seem daunting for those who have special dietary requirements or allergies. For people who follow a gluten or wheat-free diet, with its staple carbohydrates of bread and couscous – can seem particularly challenging. Do not worry – you can enjoy a great trip to Morocco – even without eating wheat – if you consider some key pointers before and during your trip. Moroccans typically eat bread three times a day (or more). It seems at first to be hard to avoid. If you are staying in guesthouse or hotel accommodation, let them know about your dietary requirements. 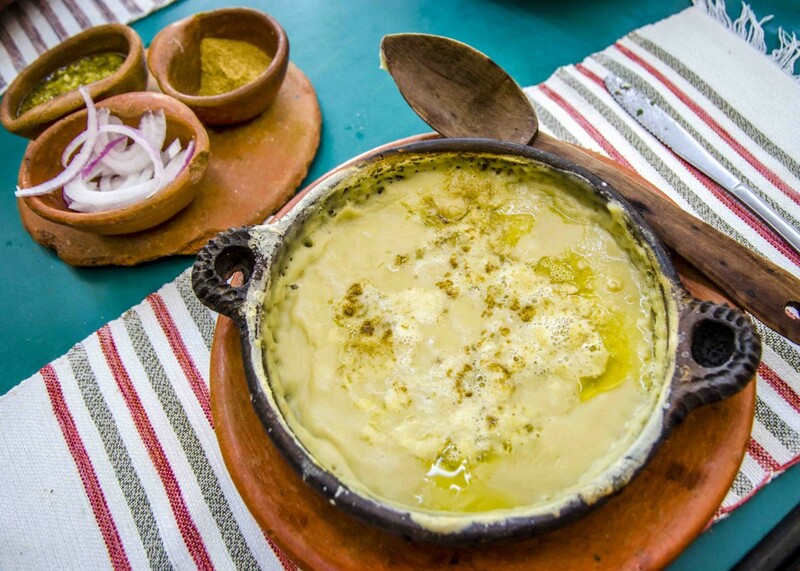 For breakfast, you could enjoy Moroccan beysara (a traditional soup made of dried pulses and topped with olive oil and cumin – it’s very common in Fes) without the accompanying bread or a simple meal of orange juice, omelette and tea or coffee. Either option is readily available in Morocco in the mornings. It is worth noting that bread is baked in Morocco several times a day and each city has a slightly different variation on the flat, round theme. As such, it does not contain preservatives and only stays fresh for the day. Many people who do not tolerate commercially-made bread at home tolerate Moroccan bread well because of this. The shining stars of Moroccan cuisine are the tajine and couscous. The former are like stews or hotpots, prepared on the stovetop or on a fire in a conical-shaped dish, which is also called a tajine. Typically, they contain meat or fish plus vegetables or sometimes dried fruits. Vegetarian versions are increasingly available in restaurants. They are usually eaten by a group of people or a family, who collectively dunk bread into the sauce and use it to scoop out the stew. If you prefer not to eat bread, simply ask for a fork or spoon. Couscous refers to a broth of meat and/or vegetables on a bed of fluffy, steamed semoule (ie wheat semolina, a micro-pasta prepared by rolling and steaming the flour). Any couscous you find in a restaurant is almost certainly made of wheat. 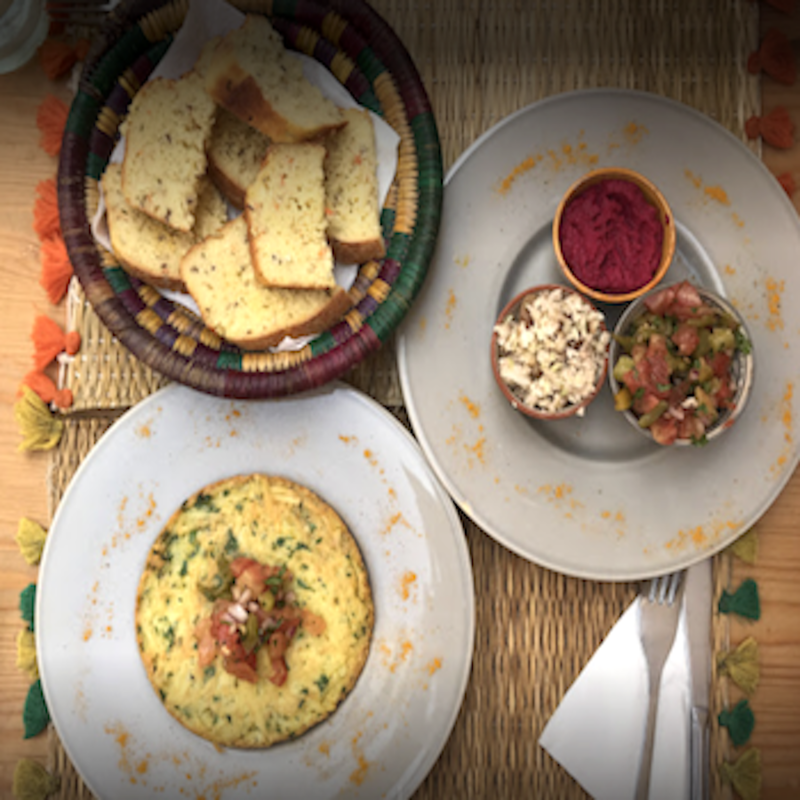 However, if you are staying in a riad guesthouse, you could request bdez (cornmeal) or tchicha or belboula (barley – note, it’s not gluten free but it is wholemeal). Riad owners often employ local women as cooks and they know all the best recipes! The classic Moroccan soup, harira, often contains wheat pasta and is thickened with wheat flour. Again, you may be able to ask the chef in your riad to prepare it with rice noodles and cornflour. Other meals that are suitable for those on a wheat-free diet include lentil (aâdis) or bean (loubia) hotpots (often found at workers cafes and truck stops), and roasted or grilled meats or fish. The latter are typically served with sautéed vegetables and rice (with meats) or a classic Moroccan salad (diced tomato, onion and cucumber) with fish. Morocco has long Mediterranean and Atlantic coastlines and the seafood in towns such as Essaouira, Agadir or Oualidia is not to be missed! Ask around for smaller restaurants owned and run by chefs – they are more likely to be accommodating. 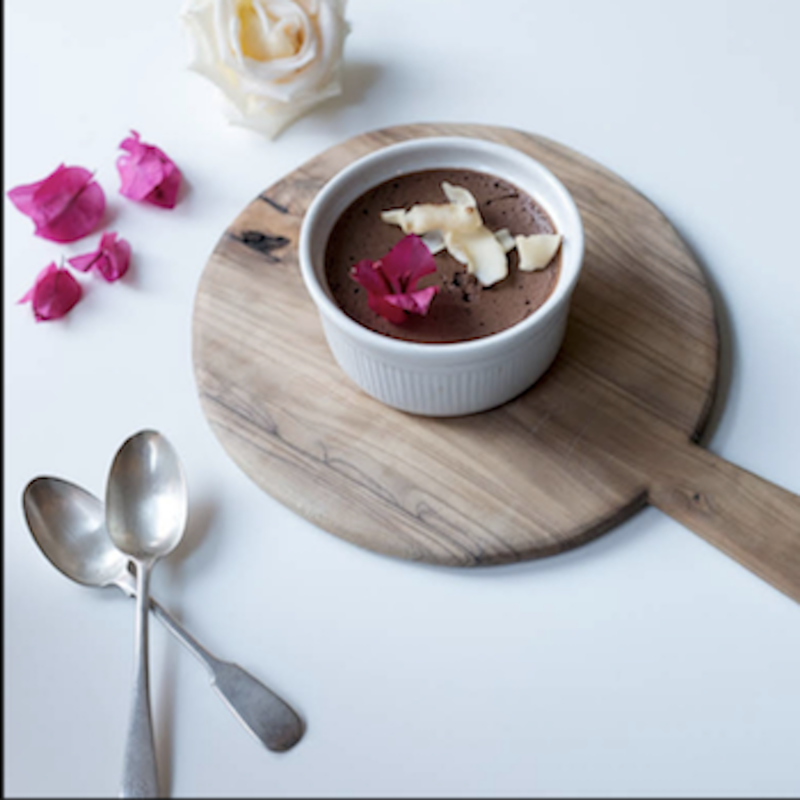 In cities such as Casablanca or Marrakech, you will find more international cuisine options such as Asian food with its basis in rice, or Brittany crêpes from France made from gluten-free buckwheat flour. One way to be sure of what you are eating is to chose a self-catering option for your trip or stay in a riad where you have access to the kitchen. In large cities you will be able to access wheat-free breads in French-style bakeries as well as wheat-free staples such as oat flakes (porridge), corn chips, rice crackers and other imported goods in most large supermarkets. You are unlikely to find quinoa very easy, but you will never be far from a potato! 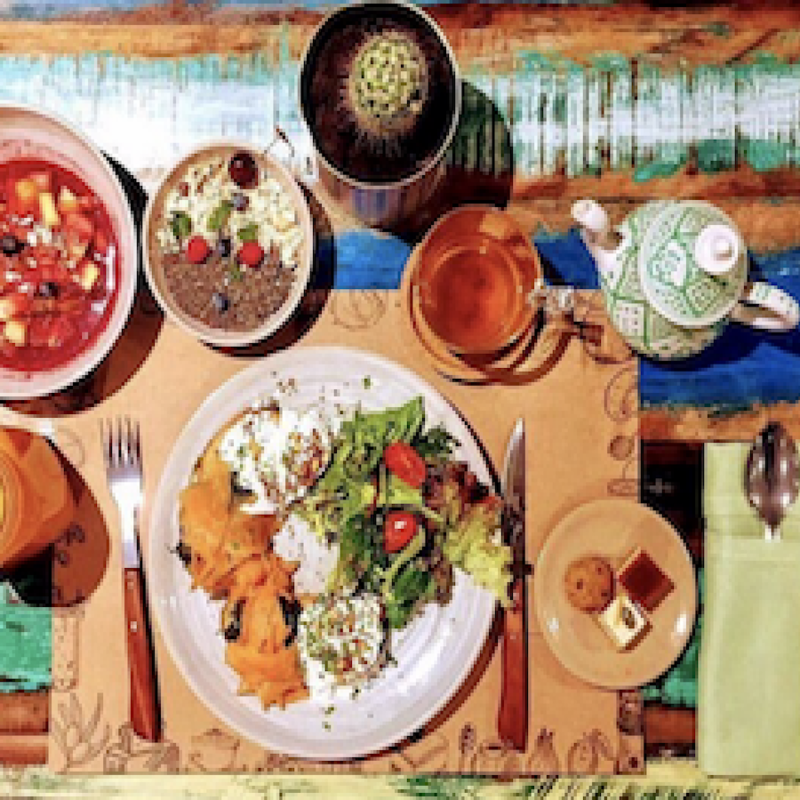 Part of the fun of a self-catering vacation in Morocco is shopping in the souks, where you will find an abundance of fresh fruits, vegetables, dried fruits, nuts, meats and fish at a fraction of the price in the US or Europe. 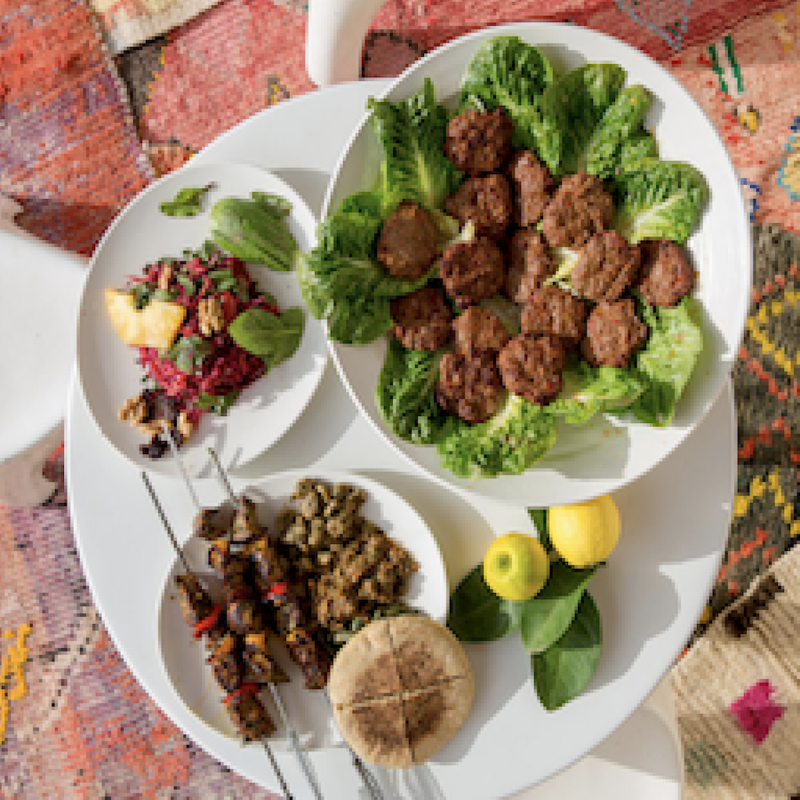 Whether you choose to cook for yourself, or eat in restaurants, hotels and guesthouses where your meals are provided, with a little preparation and forewarning, you are sure to enjoy the best that Moroccan cuisine has to offer!